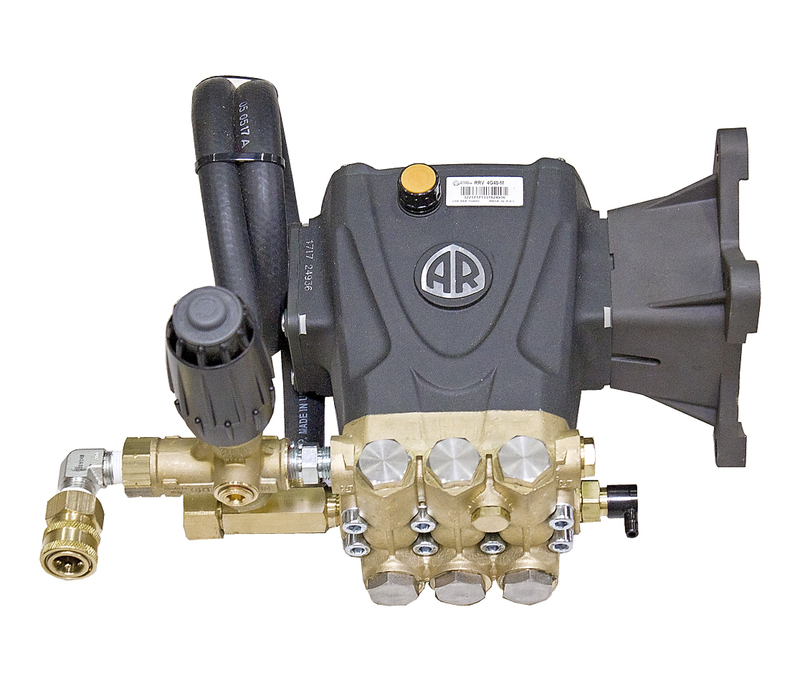 This AR Triplex pump is designed to fit any 11hp to 13hp engine with a 1″ straight keyed shaft. The pressure rating for this pump is 4000 PSI, with a flow rate of 4.0 gal/min. It comes standard with an external unloader bypass and a thermal relief valve.